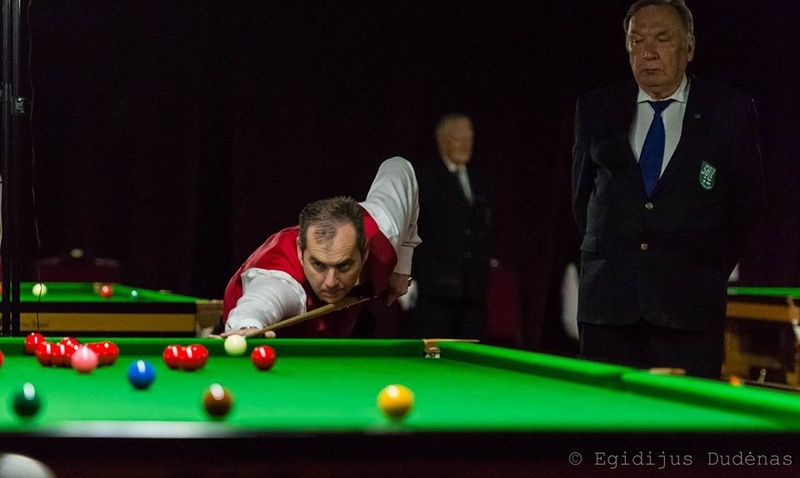 Wednesday’s morning saw the last 12 stage play out to decide the last four teams to join the quarters of the European Team Snooker Championhsips in the Masters’ division. In the first match, Switzerland’s Paris/Zimmerman squared off against Poland’s Kowalski/Jewtuch. As Kowalski nicked the first frame on the black, Zimmerman replied with a 63 break, and the Swiss never took their foot off the pedal, winning the match 3-1. The second match ended up being a one-way trip for Belgium, albeit much closer than the result would indicate. Vandersteen sunk a 46 break to take hold of frame 1, while Hendrickx clipped the one that ensued. The team frame saw the game go down to the black, but the Welsh could not capitalise and ended up losing 3-0. Germany’s duo of Burot and Heeger were forced to acknowledge their loss against Ireland’s Torpey and Thomas 1-3. The players from the Emerald Isle will meet their compatriots in the all-Irish derby in the quarters. Alas, it was not meant to be for the third Irish team, Bateman and Sarsfield, as the Scots McGillivray and McAllister made quick work of them in the fourth match of the day 3-0. The winners of the matches will meet the group winners later in the day to decide who is going to secure their spots at the semis.